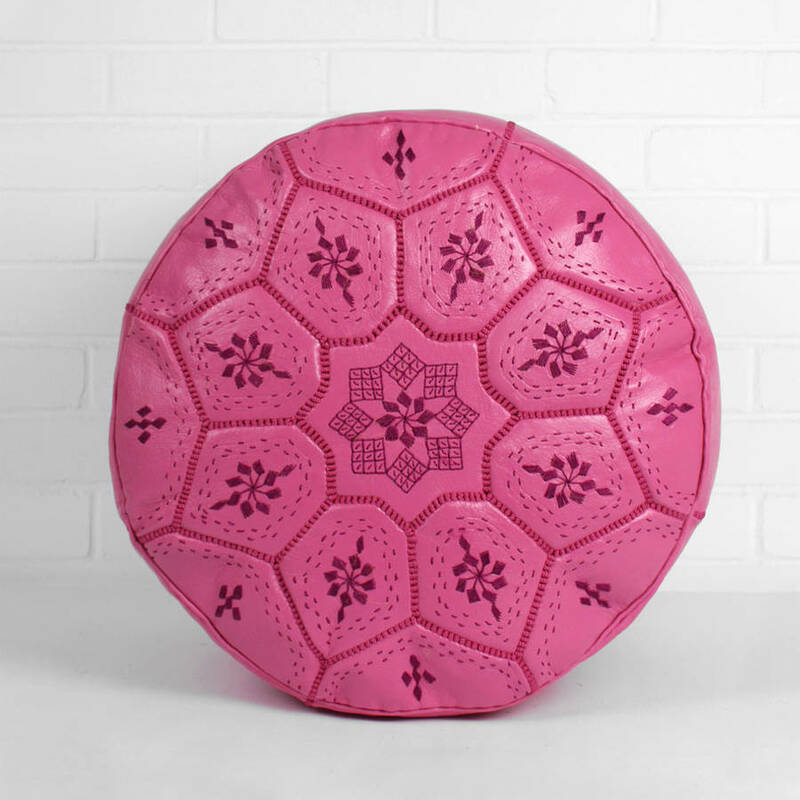 The Morrocan handmade leather pouffes with exquisite embroidered design. 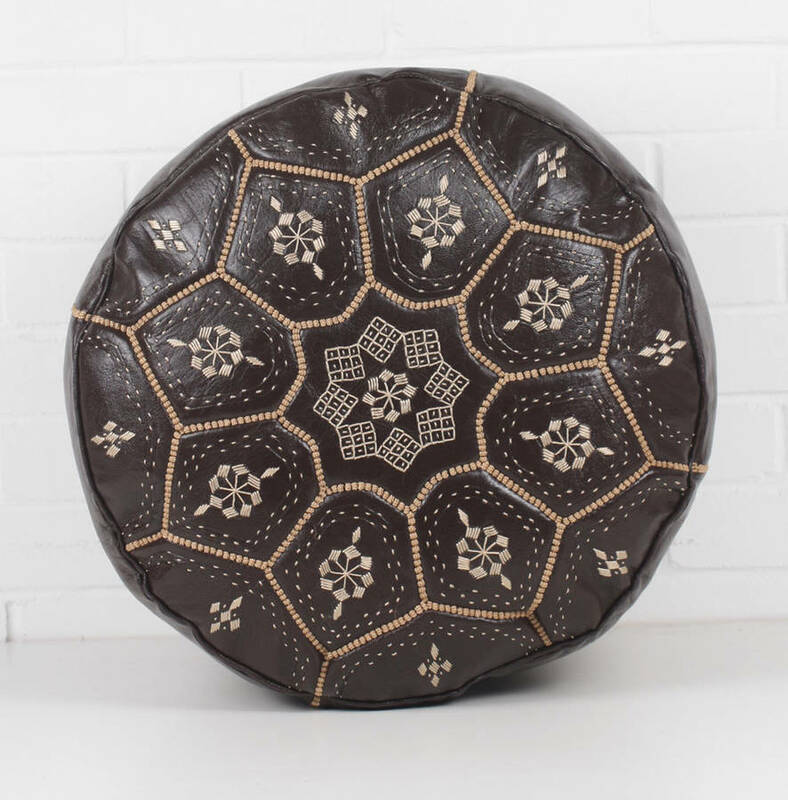 This is a traditional morroccan leather pouffe with a Bohemia twist. 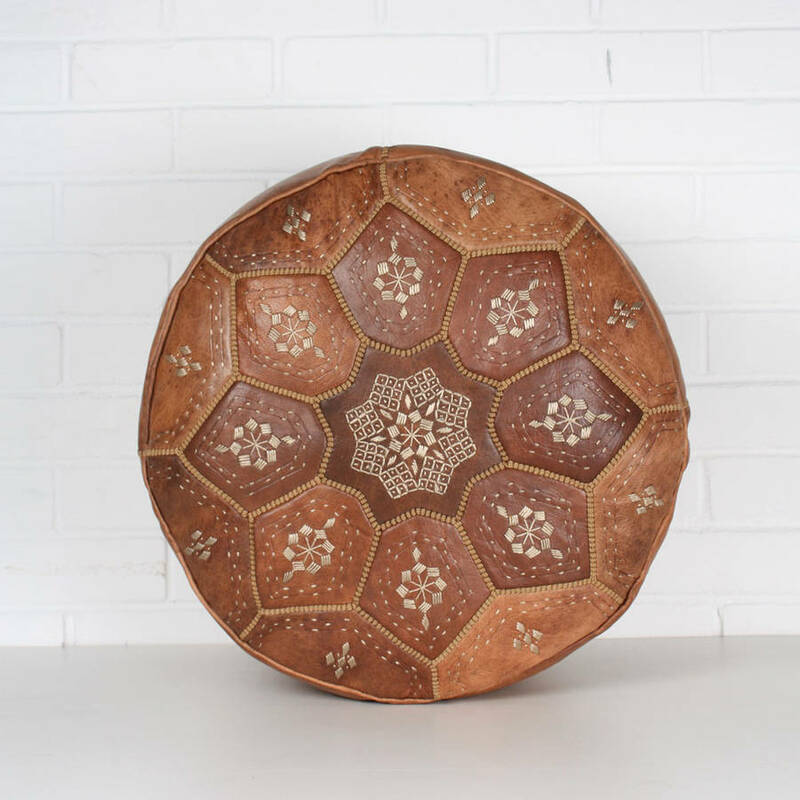 Available in our unique drum shape wth an intricate hand embroidered pattern. 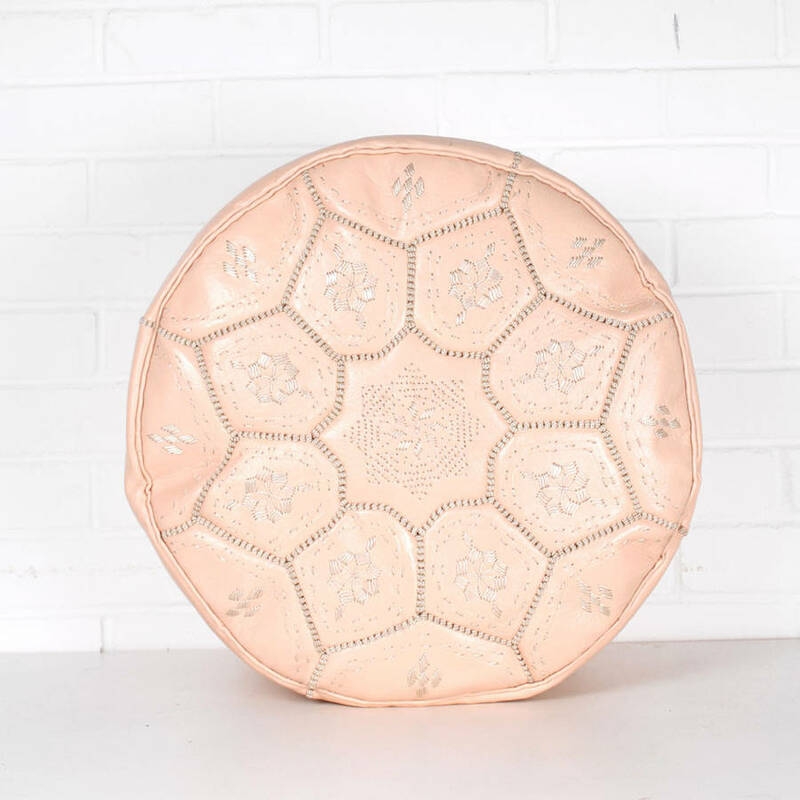 Pouffes or poufs, sometimes also known as ottomans, make a stunning home furnishing accessory and give great character to any room in your home. 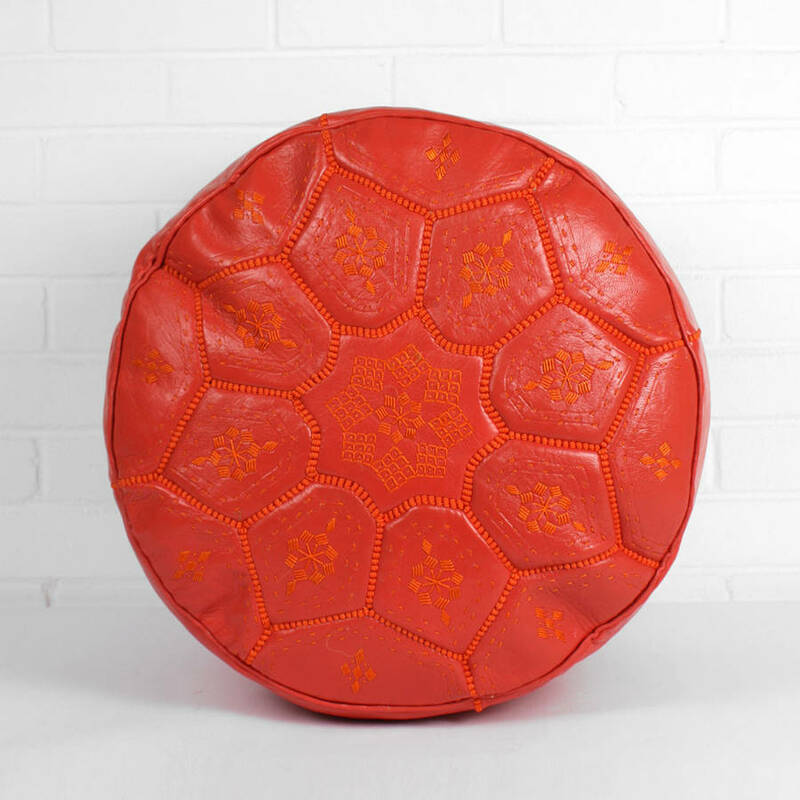 Leather pouffes have many practical uses from seats to footstools to decorative side tables. 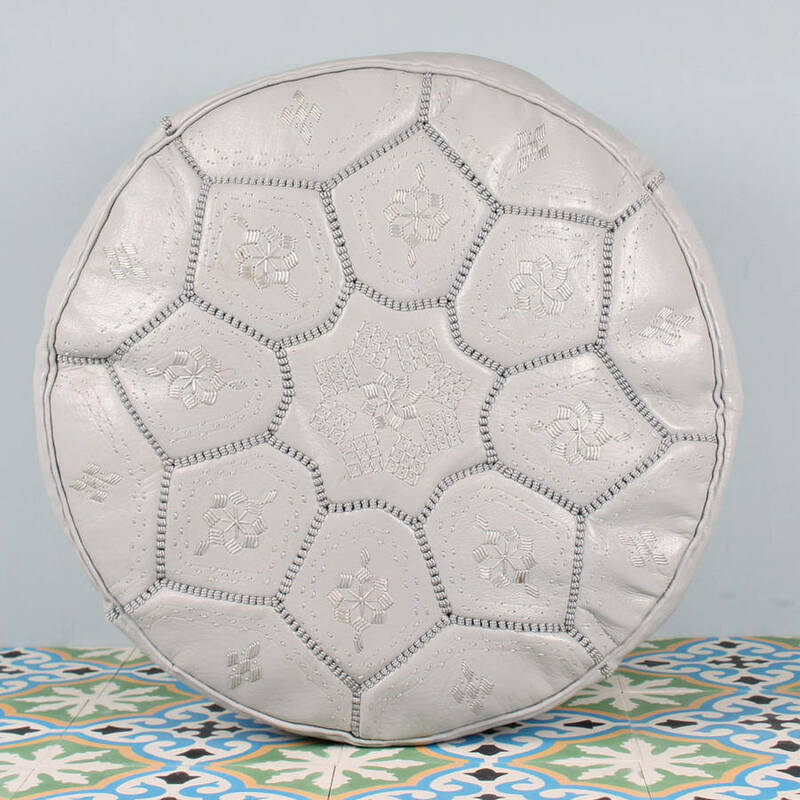 We have been working on a fair trade basis with Moroccan artisans for many years and our leather pouffes are entirely handmade by Hamid and his team in his small family run workshop in the medina of Marrakech. 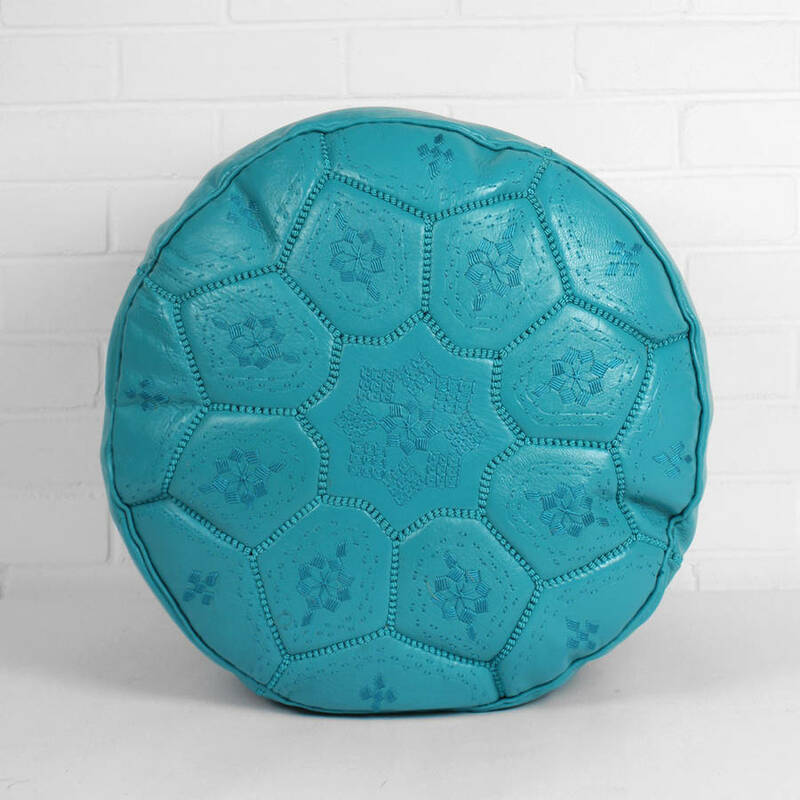 Available in a variety of bespoke colours. 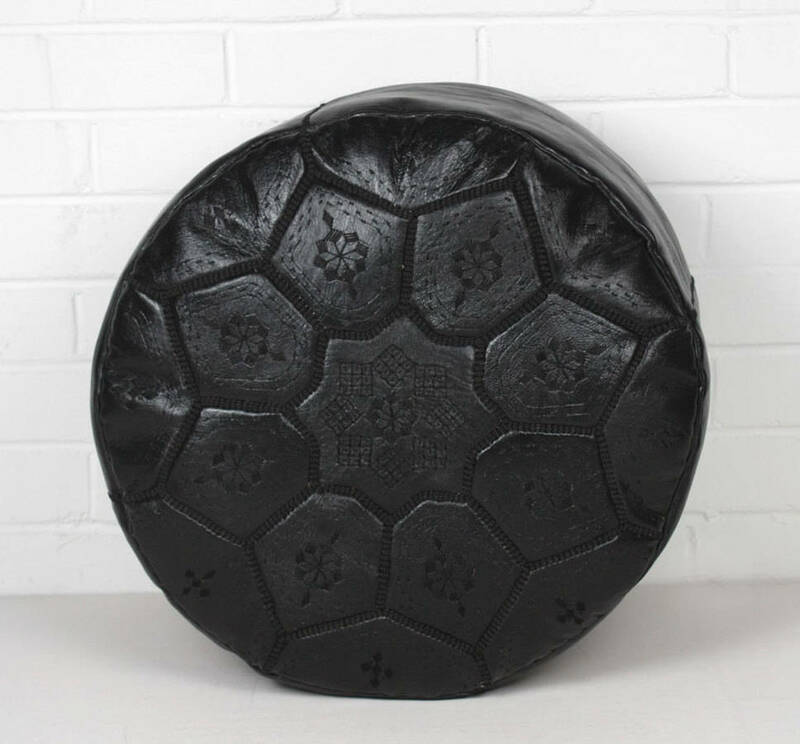 This product is dispatched to you by Bohemia.